Aquaman has some explaining to do to Mera in Aquaman #8. LDB does nothing and gets depressed about it, as usual in Little Depressed Boy #10. Superman trips out on some new alien drug. 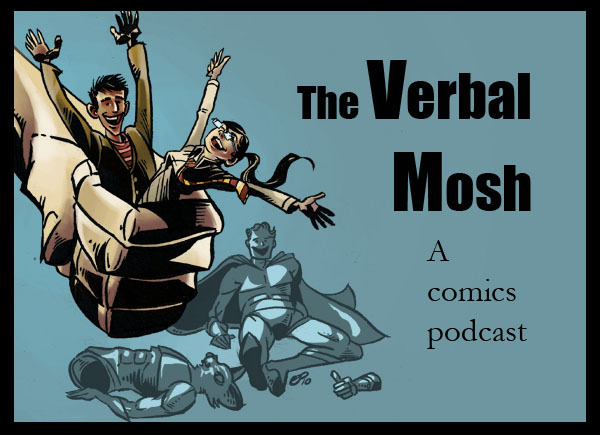 All of this on this week's episode of The Verbal Mosh, including Captain America #10, Mighty Thor #13, Moon Knight #12, and the New Deadwardians #2. You can hear Ep. 164 of The Verbal Mosh here or on our facebook page.